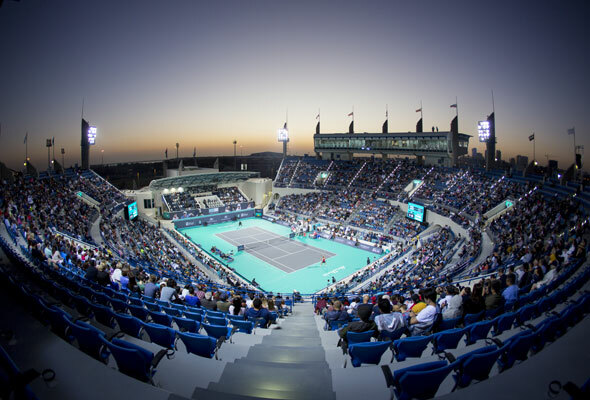 The Mubadala World Tennis Championship (MWTC) will make its return to the capital this December, and some huge names in Tennis have already been confirmed to compete. The three-day tournament will run from December 27 to 29 and Tennis aces including 14-time Grand Slam Champion, Novak Djokovic and seven-time Grand Slam winner, Venus Williams are both heading to Abu Dhabi for it. Now in its 11th year, MWTC takes place at Zayed Sports City and features a line-up of six top male players and two leading female players who will compete. The remaining six players are set to be announced soon. Djokovic is returning to the tournament as the world number three, fresh off the back of winning both Wimbledon back in July and the US Open earlier in September. “It has always been an honour to play in Abu Dhabi and I can’t wait to see my fans once again this year. The Championship offers the perfect opportunity to fine-tune my preparations ahead of the Australian Open and I am really looking forward to competing there again,” the Serbian Tennis ace said ahead of his visit. Joining Djokovic in Abu Dhabi (and making her debut in the tournament) will be Venus Williams, who has 49 career titles to her name. The six-foot-one American has finished the season inside the top ten 13 times in her career and boasts an impressive 266-72 win-loss singles record in Grand Slams. “This will be my first time playing at the Mubadala World Tennis Championship and I am really looking forward to it. I’ve heard such great things about the Championship and the city from my sister, Serena. I can’t wait to meet my fans and play in front of what I hear is a very passionate crowd,” Williams said of her debut. There’ll be plenty of action off the court too. A dedicated Tennis Village will adopt a different theme each day with the first day centering around families, the second is dedicated to foodies and the final day celebrates ladies. Keen to catch the action courtside? Tickets go on sale from midday tomorrow and are priced from Dhs100.